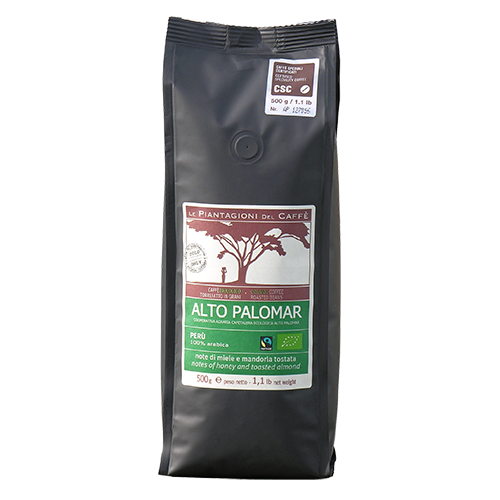 Le Piantagioni Del Caffè Alto Palomar coffee beans is farmed in the Amazon basin of Peru. The coffee is as good as it is unknown. Its lack of fame is probably also due to transportation problems and the political situation in the area during the last twenty years. This coffee is grown at high altitudes between 1200 och 1800 meters above sea level in the shadow of the undergrowth and harvested entirely by hand. You can sense tones of honey and roasted almonds in this 100% Arabica coffee.